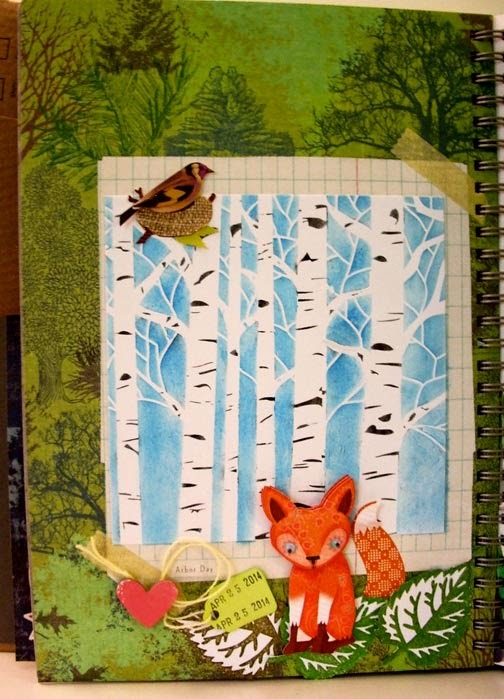 Life in Details Challenge Blog: Smash Challenge: Use a stamp or stencil or both! Joan's smash page is a smash! A work of art. I really am in awe of her design. Thank you Joan, your project is gorgeous. If you'd like to play along, please link up before May 28th. Thank you, Darcy, for the very nice comments about my Smash page.